Putting these warm mittens on is child's play. The Kids Easy Entry Mitten from Jack Wolfskin have an extra large Velcro fastener so even the youngest adventurers will find them easy to get on and off. 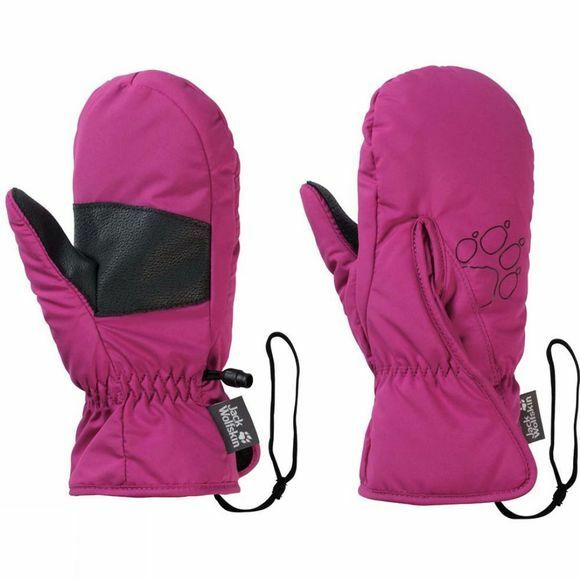 The mittens also feature a very light synthetic fibre insulation material that delivers reliable warmth, even when damp. The windproof outer fabric and soft thermal lining ramp up the insulation performance.An elasticated retainer strap around the wrist prevents them from going astray. And to ensure these mittens can withstand even the toughest of adventures, there are added robust reinforcement on the palms.